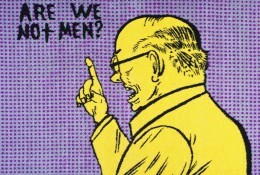 Are We Not Men?, 2004, 48” x 60”, Woven Nylon Fibers. 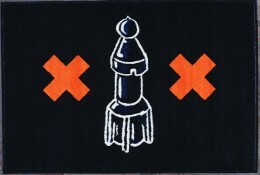 Dos Equis Rocketo, 2004, 48” x 60”, Woven Nylon Fibers. 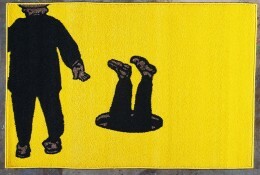 Dive For Safety, 2004, 48” x 60”, Woven Nylon Fibers. 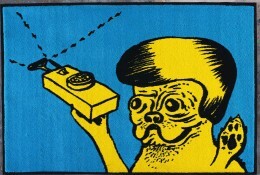 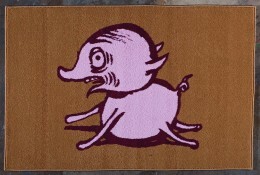 Freaked Pig, 2004, 48” x 60”, Woven Nylon Fibers. 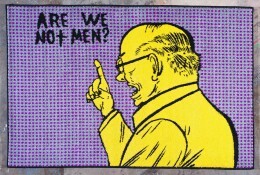 Title: Pink Meatball, 2004, 48” x 60”, Woven Nylon Fibers. 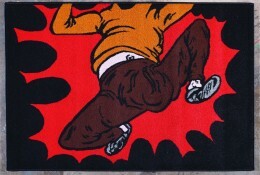 Get Going, 2004, 48” x 60”, Woven Nylon Fibers. 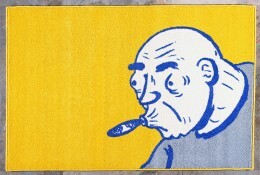 Chomping Cigar, 2004, 48” x 60”, Woven Nylon Fibers. 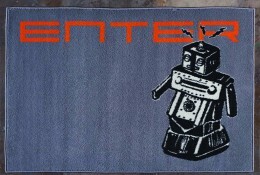 Enter Robot, 2004, 48” x 60”, Woven Nylon Fibers. 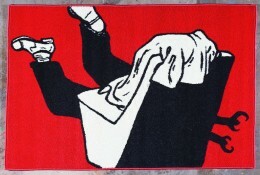 Bulbous Politico Gets a Hand, 2004, 48” x 60”, Woven Nylon Fibers. 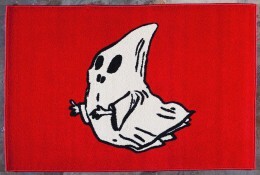 Nightmare, 2004, 48” x 60”, Woven Nylon Fibers. 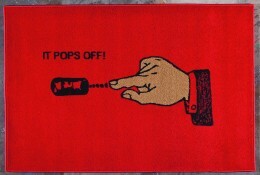 It Pops Off!, 2004, 48” x 60”, Woven Nylon Fibers. 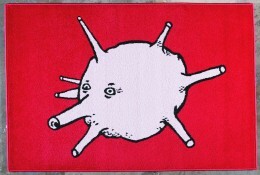 Lumpy Gravy, 2004, 48” x 60”, Woven Nylon Fibers. 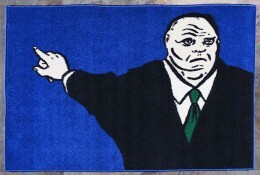 Jihad Detecto, 2004, 48” x 60”, Woven Nylon Fibers. 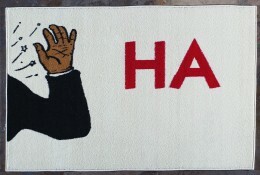 HA, 2004, 48” x 60”, Woven Nylon Fibers. 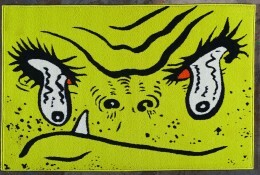 Hooded Imp, 2004, 48” x 60”, Woven Nylon Fibers. 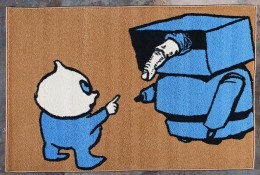 Fingerbot and the Boy, 2004, 48” x 60”, Woven Nylon Fibers. 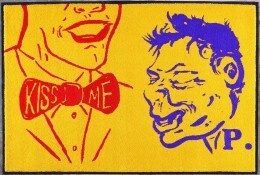 Kiss Me, 2004, 48” x 60”, Woven Nylon Fibers.